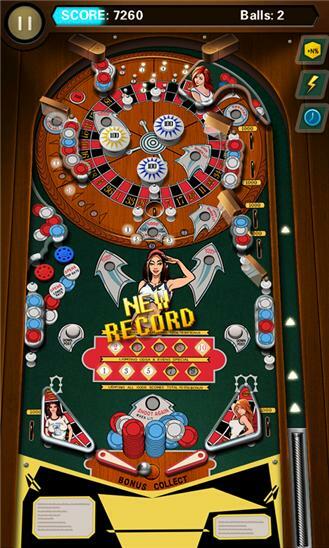 The classic arcade game pinball come to you phone. What's new in V1.1 - Add new mode: VS MODE; - Add new function of mission and achievements; - Optimizing UI and machine; Game Features 1) Very simple game control; 2) ARCADE pinball EXPERIENCE, Realistic physics; 3) Rich gold award; 4)Will update new machines with new graphics and sound; 5) Highscore leaderboards； 6) Lots of fun and surprise: fever time, column, portal... Game Play The game is easy to play: tap or slide the screen to control power then release to shoot. 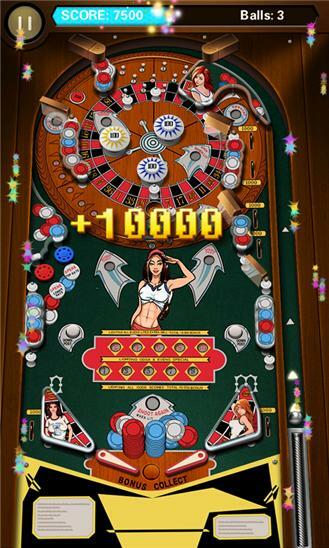 The primary objective of the game is to score as many points as possible. Points are earned when the ball strikes different targets on the play field. Having problems? Any suggestions? We would love to hear from you! You can reach us at support@ae-mobile.com Come on! Download it right now to challenge it.